On this, the second day of the government shut down, I thought it fitting that I should hike ten miles of the Pacific Crest National Scenic Trail. So na na na boo boo on you, Congress. 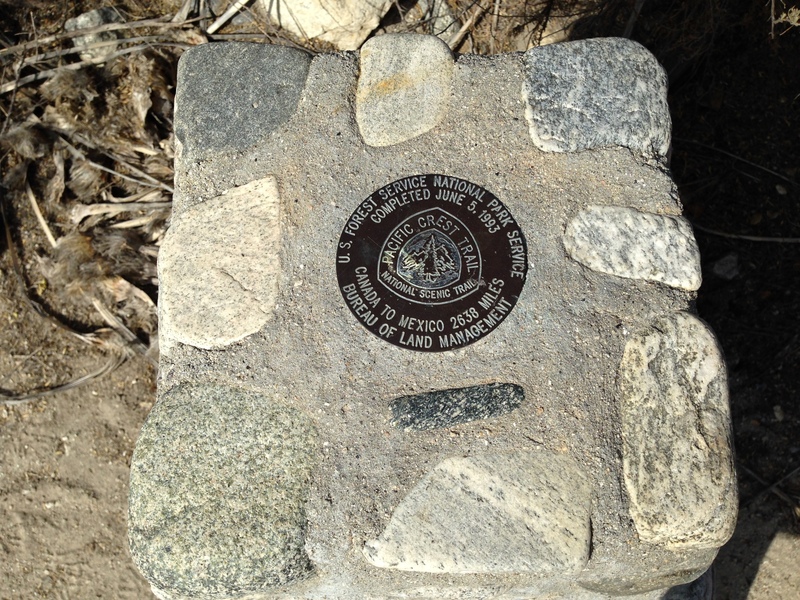 I started the day’s hike near the Golden Spike monument that commemorates the official completion of the Pacific Crest Trail. It was an unimposing little stone structure tucked away on a particularly unattractive piece of the PCT and just beyond a railroad track. Such a humble little thing to symbolize such a gargantuan accomplishment. It is my understanding that the trail planners intentionally place unassuming monuments like these on the trail to evade vandalism. You can’t shut down nature. (yet) The song “The Fox” by Ylvis was running through my head all day as I was walking and enjoying these sights so naturally that is the soundtrack for this trip. I love that I spent a whole day entertaining myself with a hobby that I love and it was 100% freeeeeeeeeeeee! Prev No Soup For You! Hi there, I just started following your blog and really enjoy it! It’s funny that you mention having that “What does the fox say” song stuck in your head, it was stuck in mine during my last hike! I was singing it fairly loudly too, thankfully I had most of the trail to myself. Anyway, kudos for hiking a section of PCT. You’re right, the gov’t can’t shut down our right to the forests/deserts/mountains! Hike on! !